Hinduism has a great value of the place name Gaya or Bodh Gaya. The place is one of the most sacred places of Hindus in Gaya, a district of Bihar state. This is also one of the most visited places by tourist from all over India. Bodh Gaya is the place which has become a Buddhist pilgrimage center with the high importance. There is a tree in Bodh Gaya. It is believed or said that Gautam Buddha Meditated under that tree and attain the highest self-actualization which Indian scholars called the state of Nirvana. Tourist to this place can know many more interesting facts about the city and its glorious history. 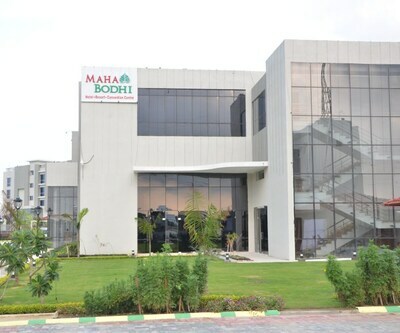 The place many accommodation entre or hotels among that travellers who love luxuries can stay at Maha Bodhi Hotel Resort and Convention Centre Hotel. 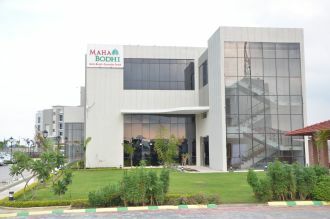 This is one of the Best 5 Star Hotels in Bodh Gaya. This property has its own soul and is soaked in the tranquility and charm. Bodhgaya Bus Station is 4 km from this property, Airport is 9 km and Gaya Junction is 12 km from this hotel. The rooms of the hotel are highly are thoughtfully designed and are fitted with all contemporary amenities such as cozy beds, clean and hygienic lines, lamps that makes the room well-lit, intercom, AC, LCD TV. The rooms are having a huge size window that makes the sunny rays comes in and make the rooms airy and ventilated. There is also a swimming pool in the hotel which offers its guests a chance to get rejuvenate after a hectic day. Take refreshing dips in the pool and get refreshed. Foodies are welcomed in the multi-cuisine restaurant that serves scrumptious food from around the world such as Indian, Chinese, Continental and many more. The pleasing ambience of the place sure will enhance your appetite. The guests who wish to have tea or coffee or any other snacks outside the dining place can enjoy the same at pool side of the hotel. The open air refreshing experience will surely give relaxing stay. This 5 Star Bodh Gaya Hotels have really good tourist's spots such as Monastery, Thai temple, Mahabodhi temple , Bodhi tree and many other lies in the close proximity of the property.